The Visa requirements for South African citizens vary from one country to another. Visa requirements might be strict in one country and might not be so strict in another country. Some countries have made it mandatory that South Africans should have a visa to visit their countries, while some other countries do not make such compulsory for South African citizens. This means anyone from South Africa can enter those countries without worrying about a visa for a certain period. Below are the visa requirements for any South African that wants to gain access into any country. Afghanistan tourist visa is required for citizens of South Africa. Algeria tourist visa is required for citizens of South Africa. Argentina tourist visa is not required for citizens of South Africa for a stay up to 90 days. Australia tourist e-visa eta is required for citizens of South Africa. Austria tourist visa is required for citizens of South Africa. Bahamas tourist visa is not required for citizens of South Africa for a stay up to 90 days. Belarus tourist visa is required for citizens of South Africa. Bolivia tourist visa is required for citizens of South Africa. Brazil tourist visa is not required for citizens of South Africa for a stay up to 90 days. Bulgaria tourist visa is required for citizens of South Africa. Burkina Faso tourist visa is required for citizens of South Africa. Burundi tourist visa is required for citizens of South Africa. Cambodia tourist visa is required for citizens of South Africa. Cameroon tourist visa is required for citizens of South Africa. Canada tourist visa is required for citizens of South Africa. Cape Verde tourist visa is not required for citizens of South Africa for a stay up to 1825 days. Chad tourist visa is required for citizens of South Africa. China tourist visa is required for citizens of South Africa. Colombia tourist visa is not required for citizens of South Africa for a stay up to 90 days. The Democratic Republic of the Congo tourist visa is required for citizens of South Africa. Croatia tourist visa is required for citizens of South Africa. Cuba tourist visa is required for citizens of South Africa. Djibouti tourist visa is required for citizens of South Africa. Ecuador tourist visa is not required for citizens of South Africa for a stay up to 90 days. Egypt tourist visa is required for citizens of South Africa. 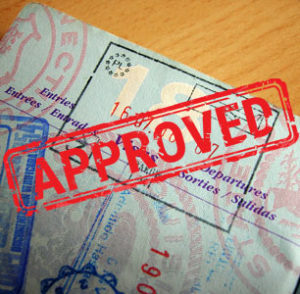 El Salvador tourist visa is not required for citizens of South Africa for a stay up to 90 days. Equatorial Guinea tourist visa is required for citizens of South Africa. Ethiopia tourist visa is required for citizens of South Africa. Finland tourist visa is required for citizens of South Africa. France tourist visa is required for citizens of South Africa. Gabon tourist visa is required for citizens of South Africa. Gambia tourist visa is required for citizens of South Africa. Germany tourist visa is required for citizens of South Africa. Ghana tourist visa is required for citizens of South Africa. Greece tourist visa is required for citizens of South Africa. Guinea tourist visa is required for citizens of South Africa. Haiti tourist visa is not required for citizens of South Africa for a stay up to 90 days. Honduras tourist visa is not required for citizens of South Africa for a stay up to 90 days. Hong Kong tourist visa is not required for citizens of South Africa for a stay up to 30 days. Hungary tourist visa is required for citizens of South Africa. Iceland tourist visa is required for citizens of South Africa. India tourist visa is required for citizens of South Africa. Indonesia tourist visa is required for citizens of South Africa. Ireland tourist visa is not required for citizens of South Africa for a stay up to 90 days. Israel tourist visa is not required for citizens of South Africa for a stay up to 90 days. Ivory Coast tourist visa is required for citizens of South Africa. Japan tourist visa is required for citizens of South Africa. Jordan tourist visa is required for citizens of South Africa. Kenya tourist e-visa is not required for citizens of South Africa. Kuwait tourist visa is required for citizens of South Africa. Lesotho tourist visa is not required for citizens of South Africa for a stay up to 30 days. Liberia tourist visa is required for citizens of South Africa. Liechtenstein tourist visa is required for citizens of South Africa. Luxembourg tourist visa is required for citizens of South Africa. Macedonia tourist visa is required for citizens of South Africa. Madagascar tourist visa is required for citizens of South Africa. Malaysia tourist visa is not required for citizens of South Africa for a stay up to 90 days. Mali tourist visa is required for citizens of South Africa. Malta tourist visa is required for citizens of South Africa. Mauritania tourist visa is required for citizens of South Africa. Mexico tourist visa is required for citizens of South Africa. Moldova tourist visa is required for citizens of South Africa. Morocco tourist visa is required for citizens of South Africa. Mozambique tourist visa is not required for citizens of South Africa for a stay up to 90 days. Namibia tourist visa is not required for citizens of South Africa for a stay up to 90 days. Peru tourist visa is not required for citizens of South Africa for a stay up to 183 days. Philippines tourist visa is not required for citizens of South Africa for a stay up to 30 days. Poland tourist visa is required for citizens of South Africa. Portugal tourist visa is required for citizens of South Africa. Qatar tourist visa is not required for citizens of South Africa for a stay up to 30 days. Romania tourist visa is required for citizens of South Africa. Russia tourist visa is not required for citizens of South Africa for a stay up to 90 days. Saudi Arabia tourist visa is required for citizens of South Africa. Senegal tourist visa is required for citizens of South Africa. Serbia tourist visa is required for citizens of South Africa. Slovenia tourist visa is required for citizens of South Africa. South Korea tourist visa is not required for citizens of South Africa for a stay up to 30 days. Spain tourist visa is required for citizens of South Africa. Sri Lanka tourist visa is required for citizens of South Africa. Swaziland tourist visa is not required for citizens of South Africa for a stay up to 30 days. Sweden tourist visa is required for citizens of South Africa. Switzerland tourist visa is required for citizens of South Africa. Togo tourist visa is required for citizens of South Africa. Trinidad and Tobago tourist visa is required for citizens of South Africa. Turkey tourist visa is required for citizens of South Africa. Uganda tourist visa is required for citizens of South Africa. United Arab Emirates tourist visa is required for citizens of South Africa. United Kingdom tourist visa is required for citizens of South Africa. United States of America tourist visa is required for citizens of South Africa. Venezuela tourist visa is not required for citizens of South Africa for a stay up to 90 days. Zambia tourist visa is not required for citizens of South Africa for a stay up to 90 days. Zimbabwe tourist visa is not required for citizens of South Africa for a stay up to 90 days.